There is no doubt that Indians are very ambitious and have proved their worth in every field of work known all around the world. We have set standards and have made our mark whether it is US, UK, Australia or any developing nation. We have even dominated as the most recruited nationals in MNCs such as Google or Amazon. Similarly, the world health sector is also dominated by Indian doctors. In this rat race to reach the top, we Indians have been desperately trying to catch the middle class train or want to board high income group flight (excluding those taking benefit of MANREGA or BPL families). In doing so the stress levels of the working population, who are staying away from the home, travelling like maniacs, staying in hostels for higher studies, consuming food that is UREA pesticide treated, breathing polluted air, consuming contaminated water and fast food containing heavy metals, have risen to unbelievable levels taking a heavy toll. On a large scale, things like climate change and global warming have anyway entrapped future of every living being! The consequences of this fast moving worldly dynamics comes in form of Diabetes, Impotency, Heart Diseases, Divorce, Cancer, Parkinson’s, Paralysis, Joint pains and Depression. Unfortunately, these are a household name now. None of us are being spared of these issues and the percentage just keeps on increasing just like the present tomato and onion prices! Yes, it is absolutely wise to take a break. So, we club our holidays to create long weekends and push off to hill stations. But instead of getting rejuvenated health wise we take up a tiring 4-7 day tour spanning 20 destinations, showing off our photography skills on social media for likes of the scenic beauty but, no health rejuvenation. Hmm…wise break not so wise I guess. We want to remind you that Bharat (India) was called Sone Ki Chidiya (Golden Bird) and followed Hindu Sabhyata (Hindu Culture) not Hindu Dharma (Hindu Religion). Under Hindu Sabhyata health is wealth and preserving Panch Mahabhootaas (Five Elements) which are Vayu (Air), Prithvi (Earth), Jal (Water), Akash (Space) and Agni (Fire). Presently all are disturbed due to wrong planning. We need to preserve these Panch Mahabhhootaas at their best by taking care of the health. Later on few more practices were attached to Dharma like Navaratris, Ramadan and other festivals and fasting practices, Havana and many more based on astrology, etc., so that people could remain attached to the best form of their health. The Vastu Shastra was followed religiously. Sunlight and ventilation and use of local material in construction along with preservation of pure water resources, RO of those times like plants like Nirgundi, Jamun, Neem, Peepal, Timru, was order of the day. Organic farming prevailed under Hindu Sabhyata in which local bred cow and goat, their milk, ghee, dahi, urine and gobar manure was utilized as panch gavya. The system was not very difficult to follow, we replaced the things with big machinery with hybrid cows, hybrid seeds, and ayurvedic medicines were replaced by chemical based medicine with lot of side effects to meet various needs. We want to remind the world again; Hindu Sabhyata is the oldest Sabhyata. Few countries like Macedonia, China, Egypt, have their own mythologies but not so complete a system like the successful and old Hindu Sabhyata. You talk about America or made in USA with great honour but do you know there is no sabhayata like Hindu Sabhayata in USA. It was only rediscovered 300 years ago by COLUMBUS and his team and found indigenous people called Red Indians. A few days back an NRI from Italy came to us reporting sugar level 500, liver, kidney all compromised, 5-6 heart operations already done and totally blind due to the diseases. 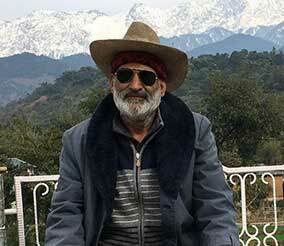 He reported at our health resort Kangra Herb, failing to get results world over from modern science. He came to us to get treated with Himalayan herbs. Within 45 days his sugar level came to 150 without insulin, frequency of dialysis cut down, and liver ok. Now it is up to you if you are suffering from any of the modern day diseases such as Cancer, BP, Diabetes, Heart ailments, Liver or Kidney disorder or for that matter any critical disease. Would you like to go to USA, Europe, Australia or would like to come to Himachal and specially, Kangra. 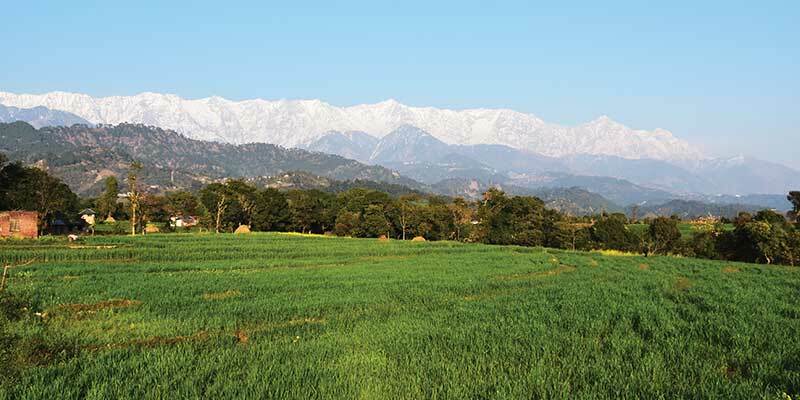 I promise you if you plan your holidays carefully you can come across unmatchable beauty of Himalayas in Himachal Pradesh, specially the Kangra Valley where hills and plains are together, which is nowhere else in the world. 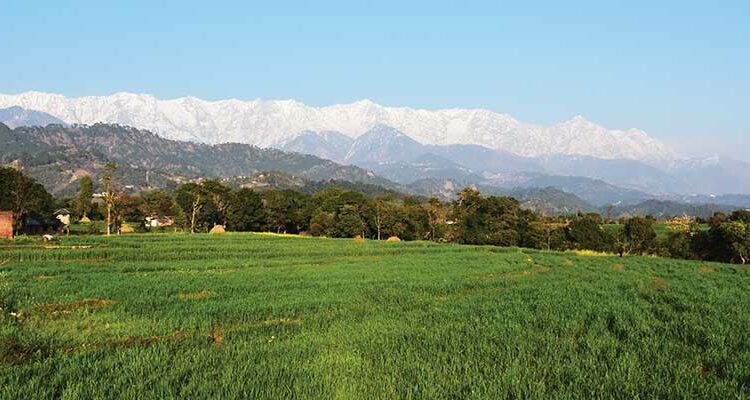 Your Stress levels, Diabetes, Blood Pressure, Cancer, Stomach ailments can all be taken care of in this Himalayan countryside, with more than 2000 herbs and medicinal plants at our disposal in this area. Plan your trip today! You are already going to tourist places spending money. Getting good natural beauty, but no health! Almost in the same budget if you come to Himachal you can get all these together. Wow! Be a wise family.